LONDON — Andy Murray indicated Tuesday he would be prepared to miss next year’s Australian Open if it meant endangering his return to full fitness from a hip injury. The British tennis star has not played a competitive match since struggling through to the quarter-finals of this year’s Wimbledon, where he was beaten by Sam Querrey of the United States. Murray, however, is contemplating a return at the Brisbane International, which starts on December 31 and is a warm-up event for the Australian Open -- the first of the sport’s four annual major championships. But speaking ahead of an exhibition match with Roger Federer in Glasgow, the 30-year-old Scot was cautious about his prospects of regaining 100 percent fitness. "You never know when you’re coming back from any injury, but that’s what I’m working towards, for sure," said Murray. "We have to see, but I believe that will be the case. "When I get back on the court next year and start playing again, it might not come immediately at the beginning of the year," the two-time Wimbledon champion added. "I have been hitting the ball very well in practice - it’s just that there is a difference between that 75-80 percent practice and going flat out at 100 percent for two-and-a-half or three hours on the match court. "Until I do that I can’t say for certain, but I think I’ll be able to come back just fine." 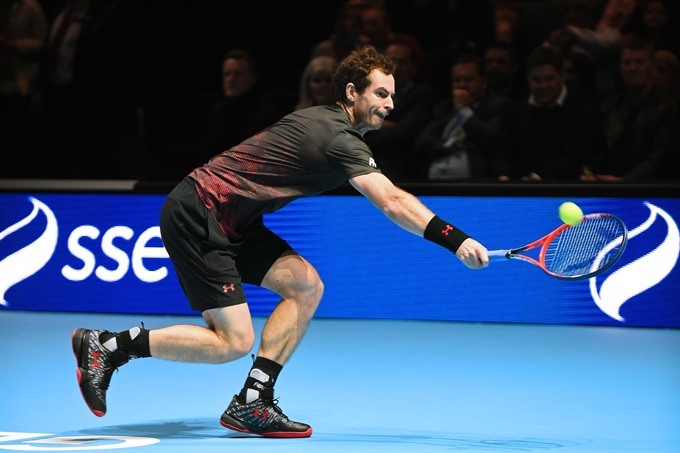 Murray expects to travel to Australia after opting for a course of rest and rehabilitation rather than surgery. "Things have been going pretty well so far in the rehab, but you just never know," he said. "I’ve been training for a few weeks now. Some days I’ve felt great and some days not so good. "But I will come back when I’m ready and when I’m 100 percent fit. I probably made a bit of a mistake trying to get ready for the US Open but it was the last major of the year and I wanted to give it a go. "And now it’s time to give my body the rest and recovery it needs. I’ll come back when I’m ready." Federer himself enjoyed a superb 2017, winning both the Australian Open — his first Grand Slam title in five years — and Wimbledon following a long lay-off caused by a knee injury. "Take your time, however long it takes," Federer told Murray in Glasgow. "When you come back you want to be at 100 percent, otherwise the problem is you feel you just can’t beat the best at the big tournaments, so it’s wise and worthwhile to take the extra week, extra month maybe. "I’m sure Andy is going to have a lot of years left, so he shouldn’t hurry, but as a professional athlete you always want to come back as quick as possible.